We moved from Nebraska to Austin this past summer and are convinced that if it wasn't for the hard work and dedication we had from Monica and Kirkland we wouldn't be living in our dream home today. We came to Austin knowing very little about the area and schools. Monica provided us a non-biased description of the neighborhoods and school systems so we could make a well informed decision. She did a great job quickly learning our family's desires for the type of home we wanted, combined that with our budget and lifestyle and helped us find our home. She made the house hunting process stress free, not an easy task when we were carting around 3 young children during the majority of our showings. Both Monica and Kirkland worked quickly and efficiently behind the scenes getting answers to all our questions and concerns. No matter how big or small a question we had, no matter whether we asked on a weekday or late on the weekend, we would always receive a timely response. Monica and Kirkland were both extremely professional but very personable and easy to work with. If you are looking to buy or sell a home or property, I would not hesitate to recommend these two. We truly believe they are the best and you will be extremely happy, just as we are. I recently moved to Austin, TX from Nashville, TN on behalf of a new job. My new boss referred me to his realtor after purchasing his home eight months earlier. He stated that Monica Pottorff was his realtor and that he was very pleased with his purchasing experience. I spoke to Monica from Nashville and was referred to Brad Fulks who is a Buyer Specialist on her team as my relocation agent. Upon my first visits with Brad, I explained this would not be an easy task and that I hoped he had patience. My initial three trips to Austin consisted of only one full day to look at homes before flying back to Nashville. I wasn't familiar with the Austin area nor did I know where my new office was located. They did all the leg work and showed me the general area. This was a huge help. At least I knew where I didn't want to live but still had no idea about where I would end up. I moved to Austin in temporary housing in December and then the fun started. I think we looked at homes for weeks, including Saturdays and Sundays, with no avail. I made one offer on one home in three months. Finally, Brad pulled out all the stops and made me re-look at several homes. He knew exactly what I was looking for before I did, at this point. I placed an offer on the house where I live now, and with just slight negotiation, I got it. Today, I think I love this home more than any other I have owned. The Monica Fabbio Team has absolutely wonderful. They were so patient and understanding with my hectic work schedule and did everything they could to keep ME calm. I look forward to being at home now. I would definitely refer anyone I know looking for any type of real estate to Brad and the Monica Pottorff Team. Thanks for everything! Monica and her team managed a great sell and buy for our family! Monica combines skill and knowledge of the market with a willingness to listen to the client. We are so pleased with our new home and appreciate the guidance and now, friendship of the Monica Pottorf Team! Monica,Thank you for selling EVERYTHING I listed with you. The Monica Pottorff Team is where Grace and Excellence and Results come together and you can quote me on that! Thank you again. Monica is the best real estate agent I have had the pleasure to work with in my many house searches. She is positive, professional, thorough, knowledgeable and courteous. The follow-up and speed with which Monica worked on our search was fantastic! I will use Monica if I choose to find another property in Austin and will recommend her to anyone I come across looking for a property in Austin. Being a recently divorced mother of two little girls, I was a bit nervous while looking for a new house. I had a lot of criteria on my list to make something a "perfect home." I wanted a safe neighborhood with lots of other kids for the girls to play with, excellent schools, and the list goes on. Monica was very knowledgeable of the areas that I was looking at, and helped me to find a home that met all of my criteria. She was very informative on the latest real estate market and trends, and made me feel "at ease" while purchasing my first home on my own. If I ever had a question that Monica did not know the answer to, she would simply find out and get back to me right away. 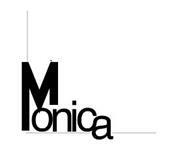 I would say that one of Monica's top attributes is her outstanding customer service. I was very happy with my overall experience with Monica. She made everything go very smoothly, and I would definitely choose her again when buying or selling a home.